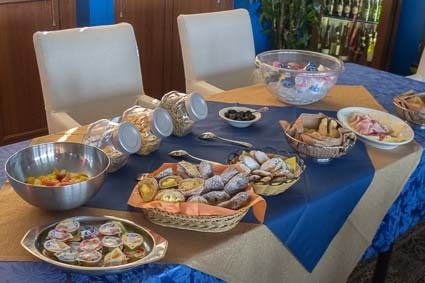 In the dining room, La Bella Vita's crew had set out a breakfast buffet, which included the usual croissants, rolls, ham, cheese, cereals, yogurt, etc. 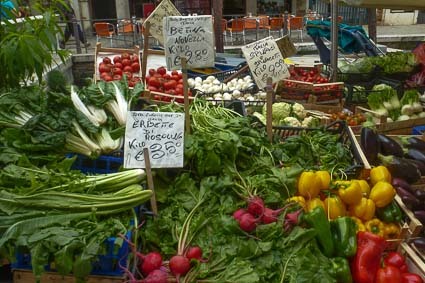 plus cooked-to-order hot dishes such as eggs and pancakes. 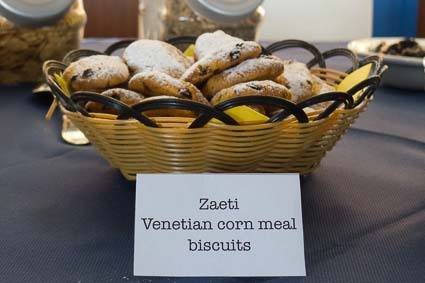 As a bonus, we were treated to a Venetian specialty, zaeti. 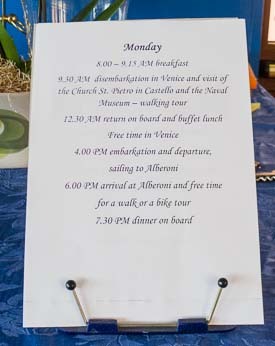 The daily program told us what to expect: a walking tour and museum visit in the morning, followed by lunch, free time in Venice, and a 4 p.m. departure for Alberoni. 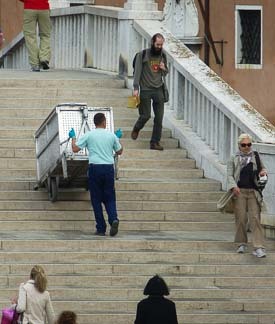 A sanitation worker hauled his trash cart over a bridge between the Riva di San Biago and the Riva Cà di Dio. 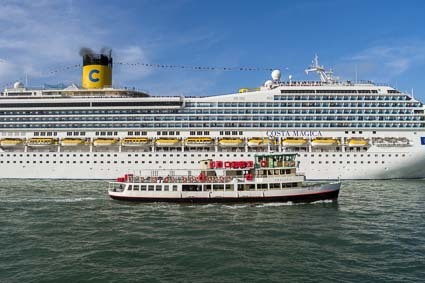 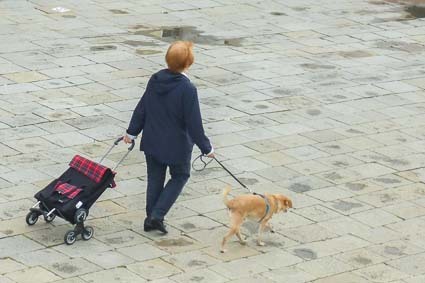 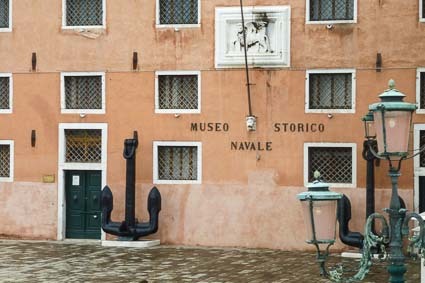 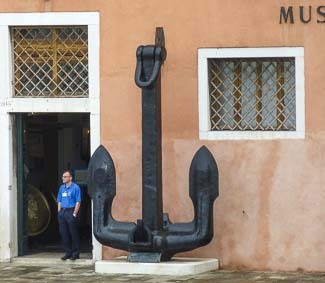 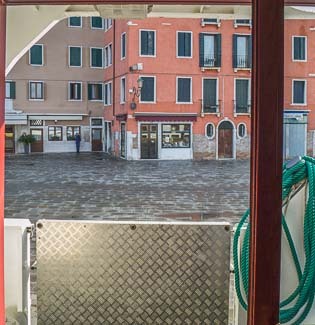 An employee of the Museo Storico Navale di Venezia surveyed waterfront activity from the museum entrance, which was only a few meters away from La Bella Vita. 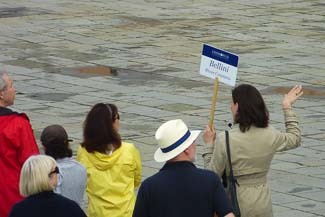 Tour groups from larger ships were already out and about. 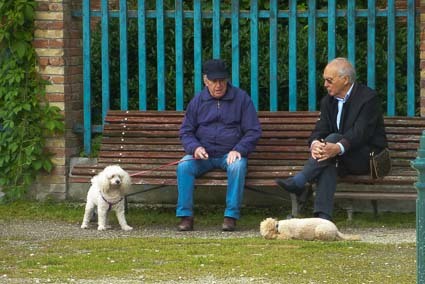 Our own morning tour took us through the Viale Garibaldi, a street and park in the Castello district where two men were chatting with each other and their dogs. 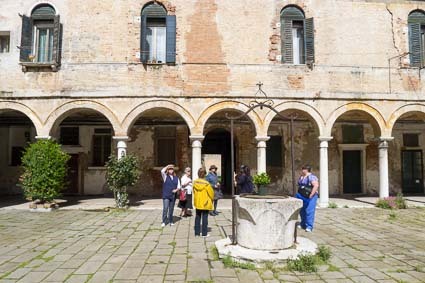 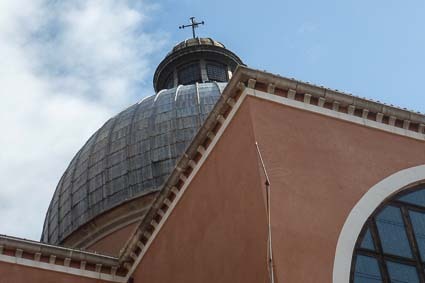 Our destination was San Pietro, an island near the easternmost tip of Venice's historic center. 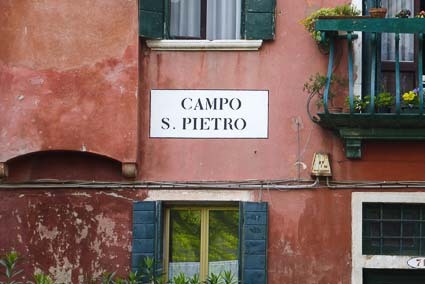 Few tourists find their way to this neighborhood, although it's only about a 20-minute walk frm the Piazza San Marco. 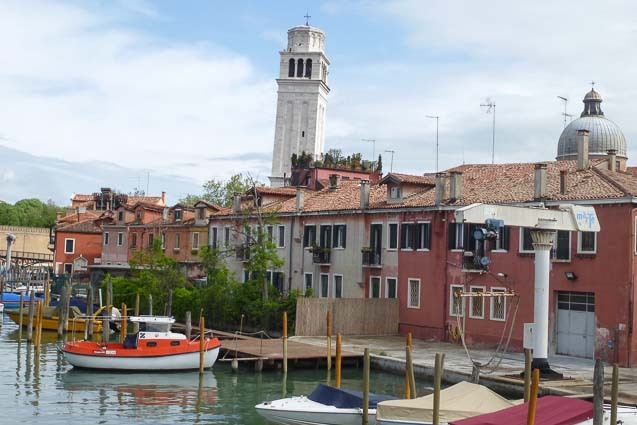 From a distance, the neighborhood's most visible feature is its leaning campanile, or bell tower, which was built in the 15th Century. 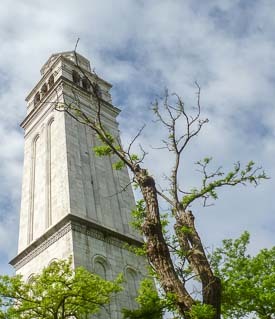 The tower is made of Istrian stone, a nonporous limestone that has the durability of marble. 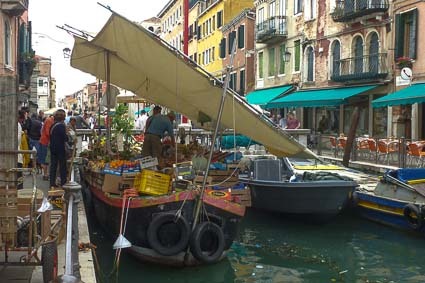 After touring the church, we headed back toward the waterfront through the Castello district, stopping briefly at a fruit and vegetable barge (one of two in Venice: the other, and more famous, produce barge is near the Campo San Barnaba in Dorsoduro). 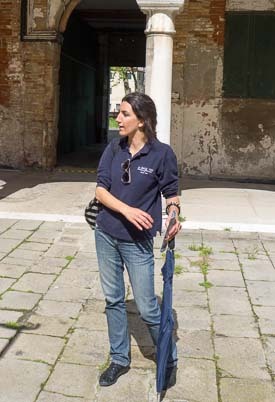 Our walking tour ended with a visit to the Naval History Museum, where Paola led us through exhibits that related to our cruise itinerary in Venice and the Venetian Lagoon.